﻿ Hotel Igh Eliseos Malaga. JIMAT di Agoda.com! Ada soalan mengenai Hotel Igh Eliseos? Hotel Igh Eliseos, terletak di Pusat Bandar Malaga, Malaga, merupakan satu pilihan popular bagi para pelawat. Dari sini, tetamu boleh menikmati semua kemudahan yang bandar ini tawarkan. Untuk pilihan bersiar-siar dan tempat daya tarikan tempatan, pelancong tidak perlu pergi jauh dari hotel kerana semuanya berdekatan dengan Plaza la Malagueta, Plaza de Toros, Fuente de las Tres Gracias. Ambil kesempatan daripada pelbagai perkhidmatan dan kemudahan yang tiada tandingan di hotel Malaga. Semasa menginap di penginapan yang indah ini, tetamu boleh menikmati fasiliti tetamu kurang upaya, Wi-Fi di tempat awam, tempat letak kereta, bilik keluarga, lawatan. 36 bilik di sepanjang 7 tingkat menyediakan suasana nyaman dan menyenangkan. televisyen skrin rata, ruang tamu asing, internet wayarles, bilik larangan merokok, penyaman udara boleh didapati di beberapa bilik. Di samping itu, pihak hotel menawarkan aktiviti rekreasi untuk memastikan anda mempunyai perkara untuk dilakukan sepanjang penginapan anda. Hotel Igh Eliseos merupakan tempat yang ideal bagi penginapan pelancong yang mencari keindahan, keselesaan dan kemudahan di Malaga. Disappointing room. Great location near harbour, bull ring and bus transport. The hotel is very Close to parks and cultur and Down town, it is easy to reach the Beach and it is cheap. Parking is not for free, but you can park in front of Hotel. Internet only in lobby. I can't complain about the hotel. The stuff is friendly and basically you get what you pay for. I got a studio with a kitchenette and everything was working just fine. The only complain is that the room was on the road (Paseo de Reding) side and it was quite noisy because of the traffic. The windows are not sound proof and the air conditioner is pretty noisy. But as I said you get what you paid for. Overall I am satisfied and would book it again. Actually we stayed to short and sent Back 4 days later for an other couples of Nights , but Then it was fully booked -so better book in advance . Close to all the main attractions. Comfotable bed. Quiet location. We had a nice stay here. It is close to the old bull ring and a good view can be had from the roof-top. 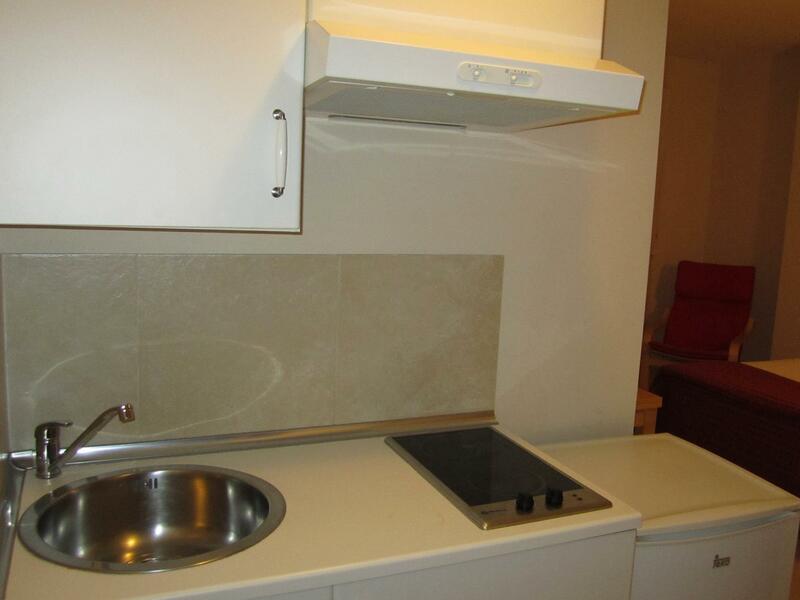 The location is peaceful and it was good value for money. i came by this hotel for one day. and i felt really comfort and clean. you can go this hotel by foot from train station. and, in hotel, you can take a shower with hot water and take a rest in warm room. i will go there again if i have a time to go that country. They have two types of rooms, studio and normal room, so if you are sick and tired of the food of the restaurant, I would recommend the studio. We stayed in Malaga longer than we expected, because the weather is fantastic and the hotel is comfortable. Very good place to visit in winter time. 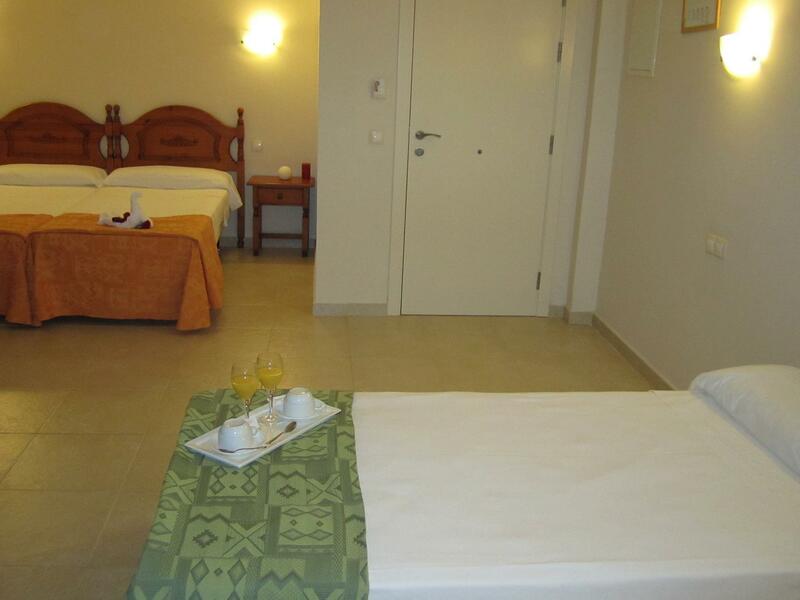 the hotel is generally great with good location and big room. 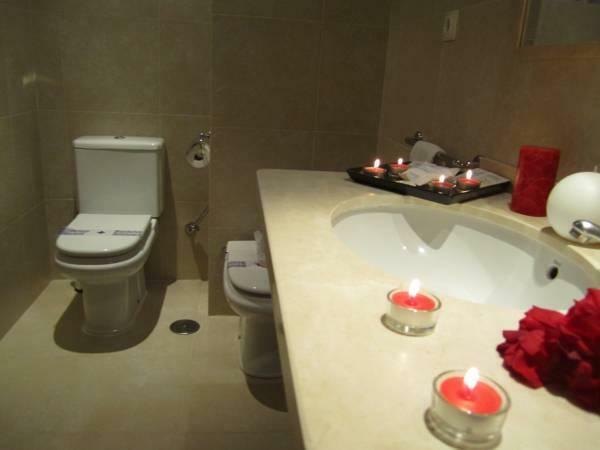 love the toilet. has a pc for free wifi, but wifi only in the reception area which is rather troublesome. in center of city, near all turist objective. room was cleaning every day. the staff was polite and want to help. the location was ok. it was clean. we booked a superior room, but there was no bathtub, only shower. the safe in the room didn´t have any key so we couldn´t use the safe. we didn´t get a hairdryer or kettle until after some days when we asked for it. the wi-fi didn´t work and the computer in the reception area was broke. sunday morning there was no hot water in the shower. the cupboard/closet smelled so much of cigarets it was unpleasant to hang clothes there. the room was book for two persons, but there were only 1 chair om the balkony... all in all it was clean but veyr simple/spartan. This hotel is not the best to look at, but once in side it is clean and the staff are very friendly, the rooms are large and clean, there is also a lift. 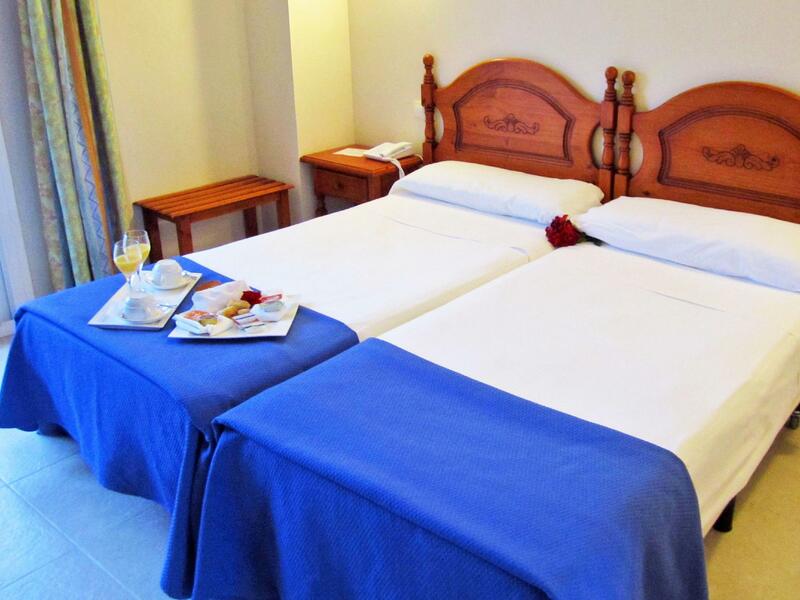 The location is perfect, a short walk to the castle and local centre for sightseeing and shopping. you can get the bus to the airport a 2 min walk away. eventhou the hotel didn't look much great from outside, we really had a pleasant stay. the room size is good and the bathroom was amazing with two big washbasins. the hotel has sockets everywhere and the room itself has so many sockets to plug ur accessories. reception was small but efficient and made things quick with smiling face. it is also close to the market and walking distance to beach too. i would not mind staying again here. cons central aircon makes some kind of water circulation sound all time but it keeps the room much cold even in high temp when we visited. don't mistake the hotel for that circular amphitheatre kind of thing in picture. this hotel is a simple about 4 floors building opposite to that ampitheatre behind the pharmacy. The IGH Iliseos Hotel was clean comfortable and mosty quiet, since it is just off the main road. The was some disturbance from people talking in the car park in the morning, but otherwaise good. The location is very good. It is near the port, beach and downtown area. The room was a decent size and in good condition, althought the number of channels available on the TV was limited. I will probably eb back for another stay soon. I didn't have any problems per se with this hotel. It was a decent, standard hotel for the price. I was there in low season, if I was paying more than what I did I might be a little more put out. The room was fairly small, the bed wasn't uncomfortable but it wasn't really comfortable either. Good bathroom, although the shower didn't have enough pressure for me. The staff were good. No real features. It is about a five minute walk to the beach and esplanade, and about a fifteen minute walk into town, so not far from anywhere but if you want to stay actually in town around the attractions and the nightlife then it isn't the place to be. It was fine but forgettable, I didn't have any major dramas. As far as I know they didn't have any food services. Had a short one night stay at the hotel with my wife. We are elderely and they took good care of us. Rooms were not very big but adequate. Very hot weather, rooms were well insulated. Would stay again for short visit, not recommended for longer visits. Great location for visiting local attractions.